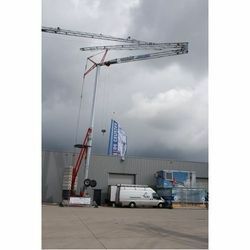 We are providing the services of EOT crane refurbishment work. "ENSOL ® Power aims to maximize the overall return to all its stakeholders & employees by providing best services in Power Generation sector in an ethically and socially responsible manner." WISMA conducts refurbishment and restoration projects and aims to restore the original machine specifications and functions as much as possible. This is carried out by reliable and experienced technicians with balanced consideration of the environment. Refurbishments are the most economical way of augmenting and preserving the lifespan of Lifeboats and their related equipment. All of our refurbished cranes have been carefully repaired and renovated to a high standard. See below for information on refurbished cranes for sale.